Update: Confirmed, Microsoft is no longer making Zune Hardware. As noted by tech journalist Ed Bott on Twitter, Microsoft has removed all references to Zune hardware on the official website dedicated to the personal media player. The other sections of the site have remained intact, including parts related to the Zune Music Pass subscription service, the Zune app on various platforms and support sections. However, the reports of Zune’s death may have been exaggerated because the Zune HD direct link was still live at post time, as noted by other readers in the comments. Perhaps they’re keeping it up until supplies last? Also, it should be noted that Apple’s iPod classic is kinda whistling past the graveyard, too. 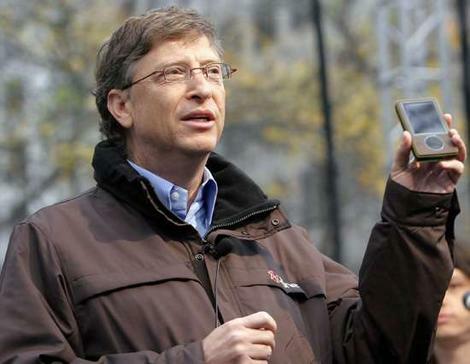 We knew Zune’s days were numbered when Bill Gates posed in public holding one of them brown beauties in his hand. Although Microsoft’s player was actually quite compelling, but it lacked Apple’s stellar marketing to take off. In some areas, the Zune outpaced the iPods. For example, the Zune HD, the current-gen Zune last updated in 2009, has an OLED display that’s as responsive to multi-fingered touch input as the iPhone. Also, a $15-per-month unlimited Zune Pass music streaming service has always been the Zune’s killer feature over the a la carte iTunes downloads. Be that as it may, for the youngsters it’s always been the iPod or nothing. Some good came out of Zune because the gizmo gave birth to a software and sleek user interface which would later find its way into Windows Phone.